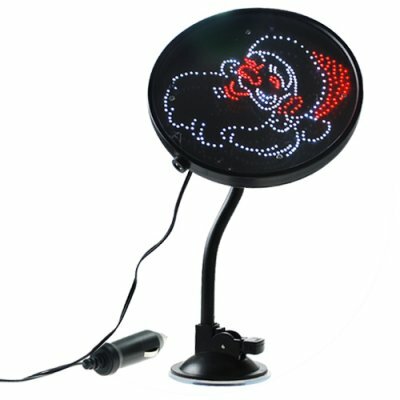 Successfully Added LED Santa Sign - Holiday Spirit for Home or Road to your Shopping Cart. LED Santa sign for showing your holiday spirit. Can be installed in your home window, business window, desktop, or car. Give your friends and family a warm Christmas smile with this colorful LED Santa sign. Simply to use and provided with an extra long cable, just plug it in and you are ready to celebrate the holiday season. The CVSDU-10002 is an excellent wholesale item suitable for high margin sales; order with confidence from the original direct from China electronics wholesaler, Chinavasion. LED Santa sign for vehicle, window, or tabletop display. Unique multi color LED sign with glowing picture of Santa Claus.